The Education World Forum is the world’s largest gathering of education ministers. The event takes place in London each year and sees ministers and policy makers representing the majority of the world’s population gather to discuss, debate and develop education policies and practices. Presenting at the Education World Forum is well-timed for the Massachusetts-based nonprofit education innovator. EXPLO recently partnered with the Agastya International Foundation to lead a series of professional development workshops for government science teachers in India. 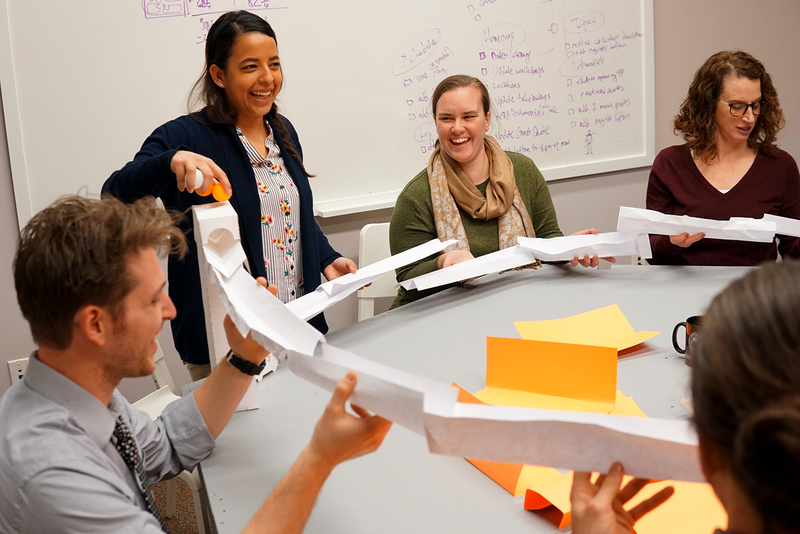 Additionally, the team collaborated with the Sevenoaks School in southeastern England — ranked as one of the world’s leading co-educational independent schools — to lead new experiential learning workshops focused on critical making and design. The pair, along with other members of the EXPLO leadership team, served as design partners and continue to advise Delaware-based nonprofit SummerCollab, which supports educational outcomes for low-income students by equipping community-based institutions to execute extraordinary summer learning programs. Now, with the philanthropic support of Jim and Sylvia Earl, EXPLO is providing guidance and expertise to the Wheelock School of Education at Boston University to help cultivate innovative teaching practices with in-service and pre-service teachers. 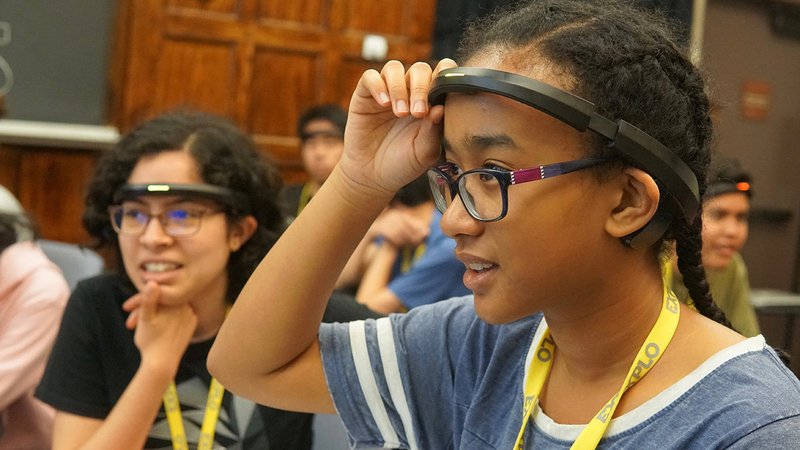 EXPLO is becoming increasingly known for their highly tactile, interactive presentations, and has presented their narrative-based critical making curriculum the SXSWedu Playground over multiple years. Kelly and Hamilton also recently led a workshop at global learning Oppi Festival in Venice, titled “Paperclips and Index Cards: Striking the balance between physics and art.” Participants were given a creative challenge to balance an index card on the tip of an unfolded paper clip; once solved, they were given a second card to balance on the tip — this time, sculpted in response to the words “tranquility” or “anxiety”. "Personally, I’m always pleased to find new and inspiring ways to learn. Such was my experience on meeting the EXPLO team at Oppi in New York some years ago," says Gavin Dykes, program director of the Education World Forum. "A growing sense of mutual interest in and ambition for learning, and sharing opportunities led recently to Dave and Moira’s brilliant visit to Agastya and Bangalore. I am delighted to continue our journey together, learning from and with EXPLO in London. I look forward to creating many more similar opportunities in the months and years ahead." Exploration Learning (EXPLO) is an international leader in education innovation that inspires students and teachers to explore the world of people and ideas, and to experience the joy of learning in pursuit of purpose and meaning. 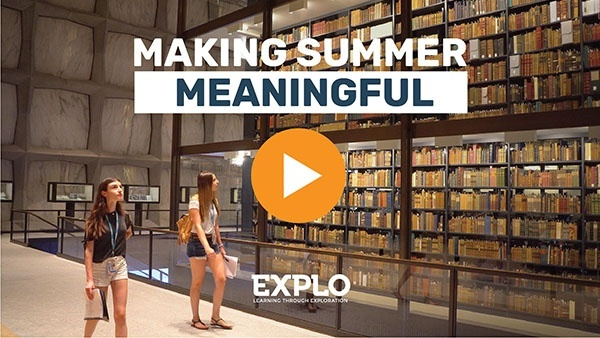 Founded in 1976, EXPLO revolutionized the summer enrichment industry when it brought to market the first hybrid summer programs for intellectually curious kids. 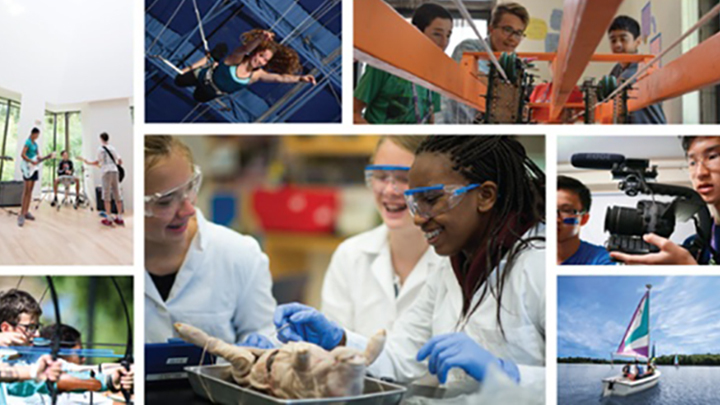 Today, EXPLO Summer Programs serve students from 50 states and 70 countries in grades 2-12. In addition, EXPLO provides year-round professional development and curriculum design for educators and executives, and consulting services for similarly-spirited nonprofits around the globe. 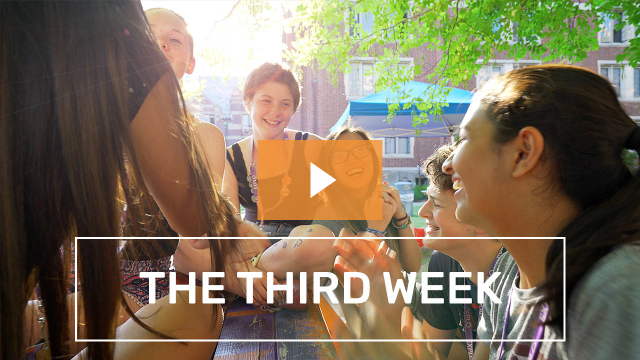 A network of thinkers and doers that spans the globe, EXPLO proudly celebrates the many accomplishments of its 80,000 alumni — among them a Pulitzer Prize winner, 40+ Forbes 30 Under 30 winners, TIME Inventors of the Year, and dozens of Fulbright, Watson, Thiel, and Rhodes Scholars — who are making meaningful contributions to their communities around the world.